Announcements: TUTORIALS DOWNLOAD: All tutorials should download rather quickly after purchase. You will receive two emails: one is your invoice and the second one will give you download access. Please let me know IMMEDIATELY if this does not happen for any reason. Email me at: wired@beadifferent.com so that I can correct any issues, thanks. 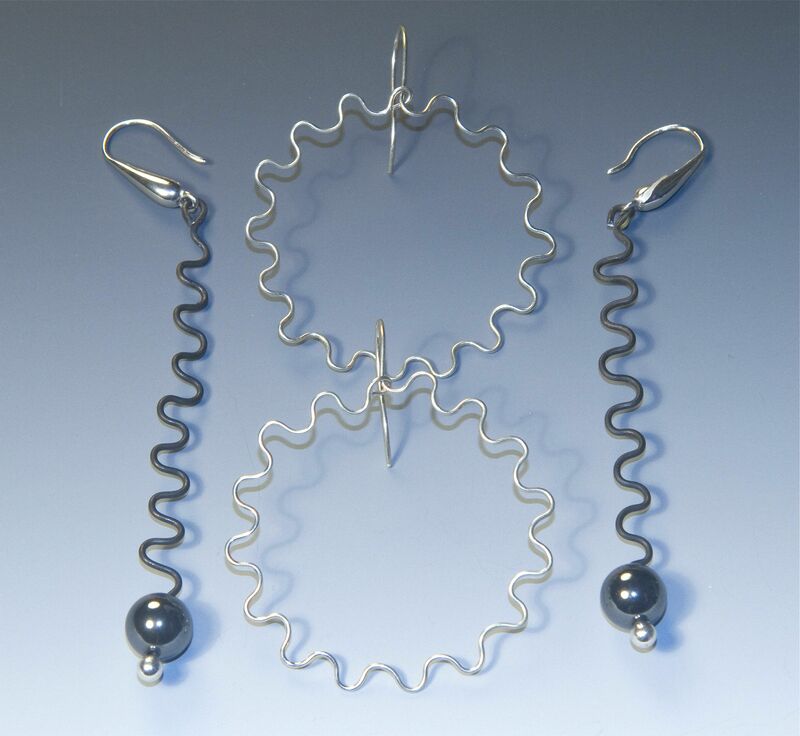 - Be sure to check out my newest little website: Unexpected Wire Jewelry Tools for some interesting ways to find tools in your own home to use for forming wire. I'm still adding to the site right now but even now, I think you'll find some interesting ideas, thanks. - Check out the latest free tutorial on Basic Round Braiding. Just click on "Tutorials" above and then click on the free ones for your own download. - I've just gotten my first Twitter button (see it directly above) where I've just started posting news, etc., that may not be mentioned on this site. So, be sure to follow me there. 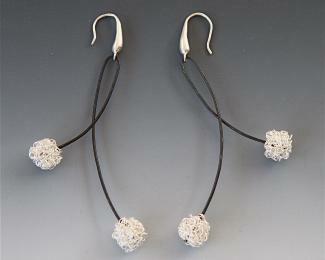 Being or becoming a wire jewelry artist is a wondrous pursuit often leading to an inspired career. Like most anything that’s of value though, it takes time and often considerable patience. I realize that most of my students don’t want to hear me say that but it’s just the reality. That’s not to say that you can’t make a wonderful or gorgeous piece of wire jewelry the first time you sit down with your set of pliers because you can. And many of my newbie students often do just that. 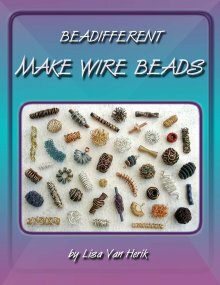 We’re all so different and have so many different variables in our personalities that I thought it might be helpful to talk about some of those things here as they relate to becoming a skilled and adept wire art jeweler. So, what do I consider some of necessary skills and how do I recommend that you get them? 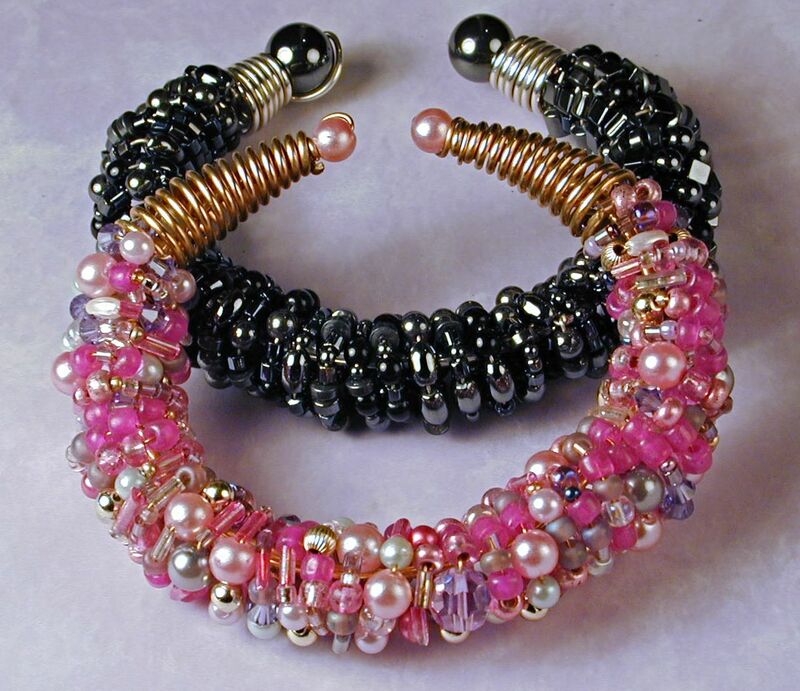 Obviously, to start out with you need to have not only the desire to make wire jewelry but you also need to have the drive. While there is a lot of competition out there, there’s always room for new and unique jewelry. Before we jump ahead though, you’ll need to sort out your goals for yourself and what exactly it is that you’re trying to accomplish with wire jewelry. Is this a serious consideration for you as in selling your work? 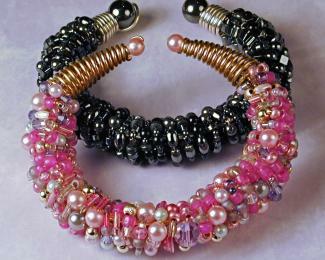 Do you just want to make jewelry for yourself and maybe some friends? Or is this just a potentially good hobby that you’re not sure where it’s going? 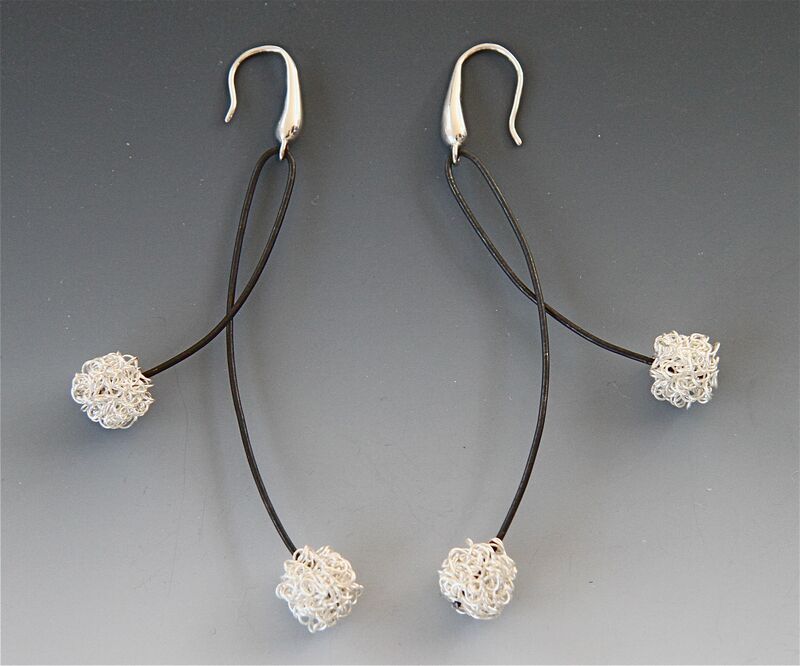 The question here is what’s driving you to want to learn how to make wire jewelry? How strong is that drive or desire? Once you clarify or crystallize your drive and drive for this lovely pursuit, I think it’s a good idea to plan how you’re going to approach your new wire jewelry making endeavor. Obviously, if you’ve worked in another art form or medium, you’ll already have acquired some hand skills. Some of those may or may not be easily transferable to working with wire. I’ve seen both complete newbies as well as seasoned artists both immediately pick it up quickly as well as get utterly frustrated right from the get go. Either way, it does take some patience and wire has its own unique leaning towards frustration. As one of my mentors used to say, “the problem with wire is always what to do with all those wire ends”. I heartily agreed with him at the time. The difference between when he said that and now is that now I really do know what to do with all those end wires. Ok, so far we’ve defined desire/drive and patience as what it takes to work well with wire. 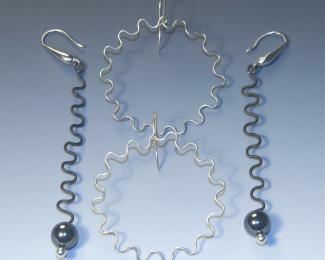 What are some of the other qualities that I think it takes to be successful making wire jewelry? Well, let’s give a few words to what “success” means first. I think success clearly means different things to many of us. 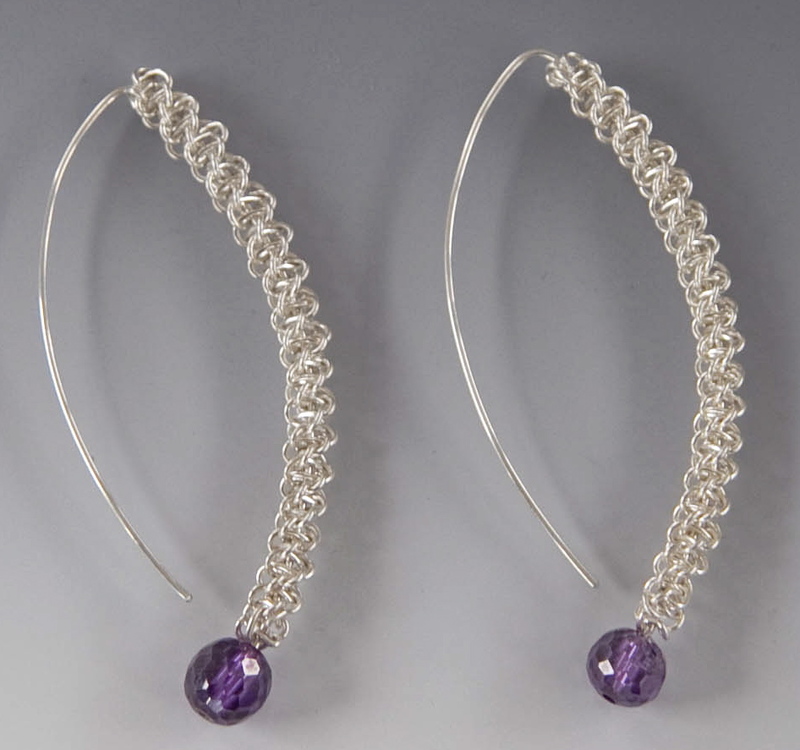 It depends on what your own goals are with your wire jewelry making. Success could mean making beautiful pieces of jewelry for yourself or your friends. It could mean getting your first tutorial article published in a popular magazine. Selling your first piece of jewelry. Starting or running a successful website on the subject. 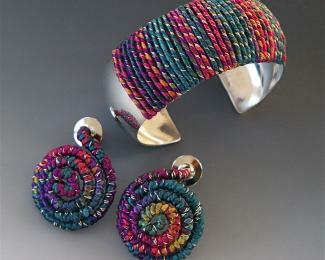 Making costs plus profit at jewelry trade shows and art fairs. So, now what else does it take to be successful, whatever your definition, in making wire jewelry? Tenacity. Well, as I said, some folks pick this craft up right off the bat but the majority of us need to work at getting good at it. That’s why I think tenacity is an important quality to have or acquire if you want to be successful at this. 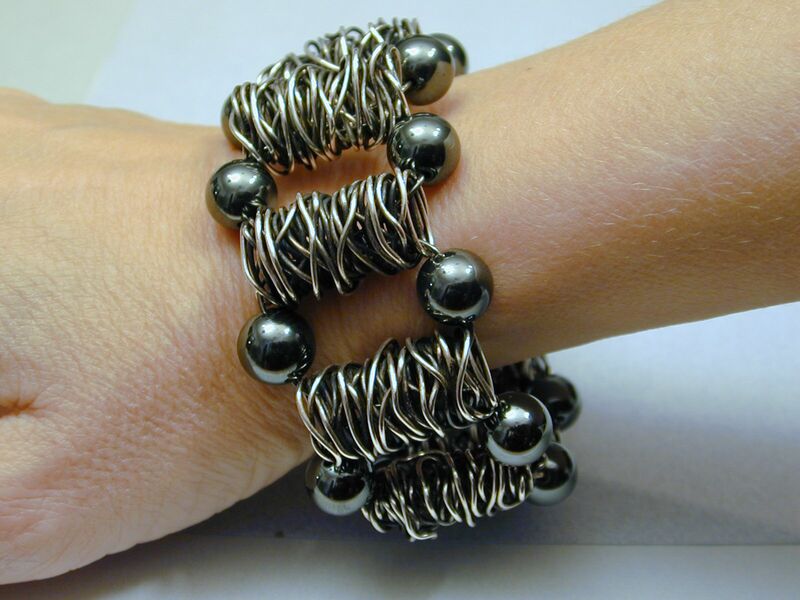 That perspective is derived both from my own experience in working with wire and acquiring and creating new techniques and skills as well as from watching my students over the years. You can’t give up on it. No matter how frustrating it might be. As with many other kinds of art, skills improve over time and you need to allow for that. I did switch my artistic focus for several years at one point and came back to wire working with renewed vigor and determination. Now, you certainly don’t need to back off of it for years as I did, but sometimes it’s a good idea just to back off a bit. Give yourself a break from doing it if it gets to a point where it’s too frustrating. Breath and remove yourself from it. So, now, I’ve added determination to the mix of qualities that I think anyone serious about learning how to make wire jewelry needs. Fortunately, I am a very determined artist and I simply refuse to take “no” for an answer. If I want to learn something, I rarely let anything prevent me from doing that. Here’s my attitude: if someone else can make those gorgeous wire jewelry pieces, then so can I. I think “determination” is a stronger quality than “tenacity” or maybe it’s just a more powerful concept: You can be tenacious, holding on, without the force that determination implies. See? Ok, so now we’re at desire/drive, clear goals, tenacity and determination. What other qualities work to make this craft so doable? Focus. Don’t let yourself get too unfocused or scattered. If you’re trying to learn new wire working techniques or skills, only work on one or two at a time until you get them down. It’s very easy to get distracted and remove your focus with all these gorgeous, shiny objects around. Now let’s add creativity into the mix. You’re probably wondering why I left that for last. Well, unlike a number of people, I believe that we’re all creative although many of us have been discouraged from thinking that about ourselves or simply were never encouraged artistically. Sure, some of us are more naturally creative than others but that doesn’t mean creativity can’t be honed and finely tuned. Another reason is that I’ve seen people who openly claim that they’re not creative make stunningly beautiful artwork. Which often surprises them. Not me. Sometimes all it takes is a little guidance or inspiration for folks to clearly see their own creativity. So, all that’s my two cents on what qualities it takes to be a successful wire art jeweler. Short of that, if you’re drawn to this art form, go for it but more importantly than anything I’ve said here, make sure that it’s something that brings you joy. : Since a number of folks have asked, all tutorials should download almost immediately or shortly after purchase. If for any reason, this does not occur, please contact me at: wire@beadifferent.com right away so that I can ensure that you get your product as quickly as possible. NEW WORKSHOP: I'll be teaching Sculptural Wire and Fiber Pendants #1 at the Shepherdess in San Diego April 7th from 10:30 am to 2:00 pm. Just click on the link for more info, thanks. Please note the photo above. You can see my newest tutorial, MAKE WOVEN WIRE JEWELRY, a 50 pager (with lots of photos) HERE. 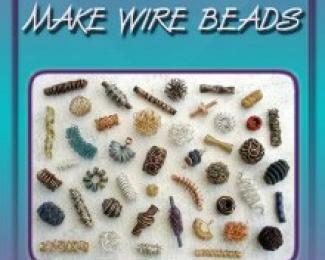 To watch my FIRST YOUTUBE VIDEO, MAKE A HOLLOW WIRE SUGAR CUBE, BEAD CLICK HERE. 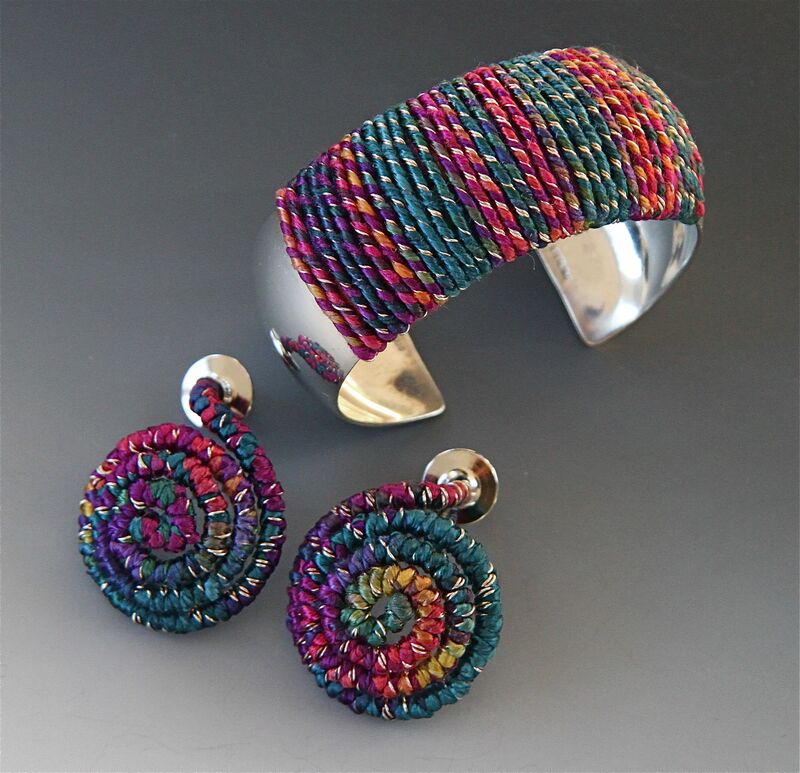 Being or becoming a wire art jeweler, learning how to make your own jewelry, can be a most fascinating adventure and even lead to an inspired and satisfying career. It can also be a frustrating journey at times, especially when you’re looking to enhance your skills by exploring new, untried techniques. That’s what this site is all about: learning and exploring both new and old wire jewelry making techniques.......learning from my jewelry making instructions how to make jewelry, truly unique jewelry, in wire. I’ve been an art jeweler/jewelry designer for over 20 years although I think my path has been slightly different from most. 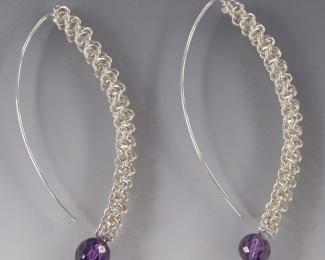 While I have created and successfully sold three jewelry lines, that’s not what’s driven my wire jewelry making.